The effects of methionine (Met), insulin, cortisol and triiodothyronine (T3) infusions on amino acid and glucose venous outflow in the skin was determined in Angora wethers (n = 5). The goats had chronically catheterized superficial branches of the deep circumflex iliac artery and vein on each side. 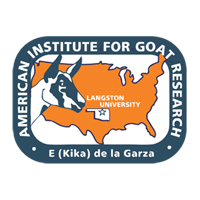 Successively increasing doses of Met, or constant doses of Met and successively increasing doses of hormones were intra-arterially infused for 60 min into one side of the goat. The other side served as a control and was infused with saline (5 ml/h). Infusion of 0, 0.2, 1, 5 and 10 mg/h of Met increased venous Met concentrations in the treated side (21.1, 22.1, 25.4, 38.4 and 15.7 M, respectively), whereas venous outflow remain unchanged (19.2 M)in the control side. Met infusion increased (P<0.05) venous plasma cystine concentrations in the treated side. Increasing levels of insulin (1, 10 and 100 mU/h) with constant infusion of Met (3 mg/h), reduced (P<0.01) plasma Met concentration in the treated side from 31.3 to 21.3 M across insulin infusions. Cortisol (0, 1.5, 15 and 150 g/h) had no effect on Met concentration. Following T3 infusion (0, 0.1, 1 and 10 g/h), plasma Met concentration decreased (P<0.01) from 29.7 to 20.3 M across T3 infusions. A corresponding reduction in Met concentration from 20.6 to 16.6 M was observed in plasma from the control side. Plasma concentrations of Cys, Val, Leu, Ile, Lys, Arg, Thr and Gly from both iliac veins were also decreased (P<0.05) as a result of T3 treatment. The above results suggest that insulin regulates skin Met metabolism via local effects, whereas T3 influenced amino acid metabolism via centrally regulated mechanisms. In Angora goats skin demand for Met may be higher than average blood Met concentrations.